Take a look through Apple’s three new iPhones and a more health-focused Apple Watch. Apple has revealed a slew of new products at its big annual event, including new iPhones and an updated Apple Watch. The trillion-dollar company unwrapped a bunch of market-leading technology from its Steve Jobs Centre, providing improved performance and new features. So what did Apple announce? 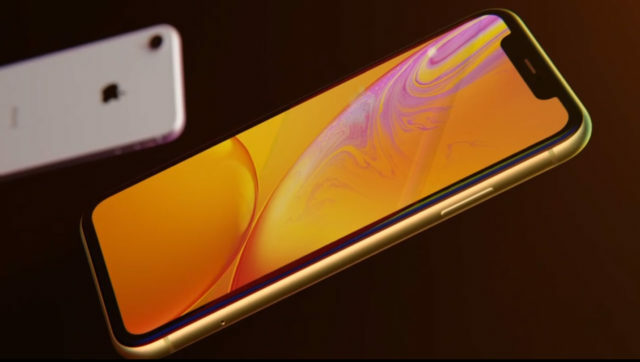 Building on the success of last year’s iPhone X, Apple has refreshed the handset with the iPhone XS, which takes on the same physical form as its predecessor. The smartphone maintains a 5.8-inch display but with an even thinner bezel, bringing the screen even closer to the edge. Apple has added a more powerful chip, known as A12 Bionic, which the firm claims allows apps to run 30% faster than before. Two cameras remain on the back at 12-megapixels, but are able to take better quality photos with the help of the new chip and a Smart HDR feature, that captures more frames, before analysing and merging them for the best possible shot. 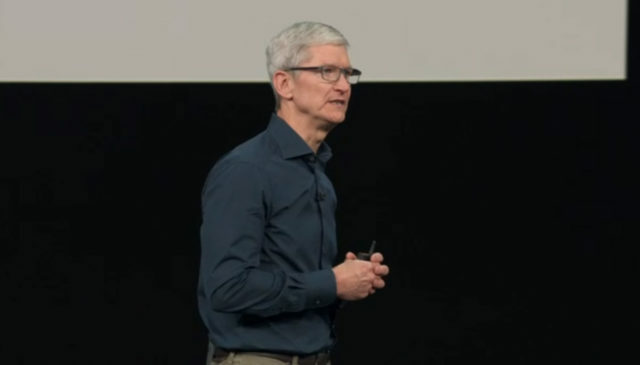 Apple stated that the iPhone XS will give you 30 minutes longer in your day than iPhone X thanks to an improved battery. The XS starts from £999. 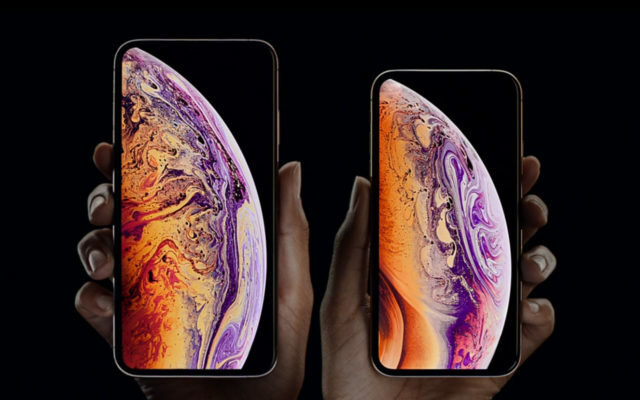 Apple is also releasing a larger version of the iPhone XS, with a 6.5-inch display, making it the largest Apple handset yet. 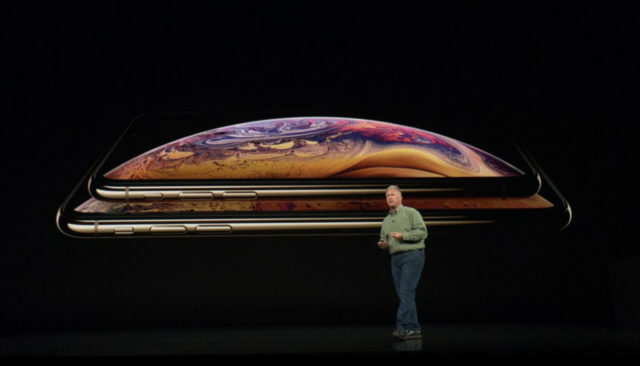 The iPhone XS Max packs much of the same specs as its smaller sibling, although Apple says the battery is a little stronger, providing an hour and a half extra compared to the iPhone X. The XS Max starts at £1,099, but with the highest storage option it will set you back £1,499. 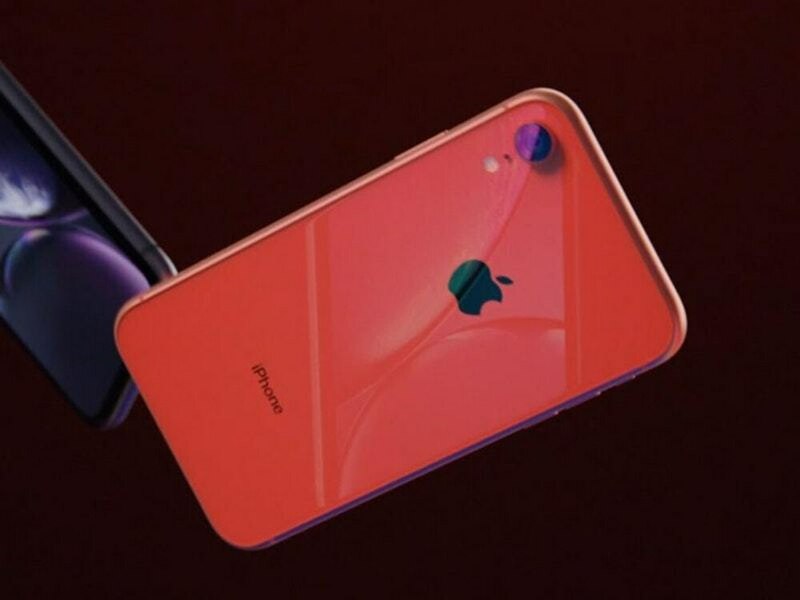 The iPhone XR is Apple’s third new handset this year, which makes a few compromises, such as an aluminium frame, instead of stainless steel, and only one 12-megapixel camera on the back. A 6.1-inch LCD display is used on this device – which Apple says is the “most advanced” LCD display ever. Like the other devices, a new chip is on board making it faster to get around your phone – and Face ID is present as well. The XR is Apple’s cheapest new handset, retailing at £749. 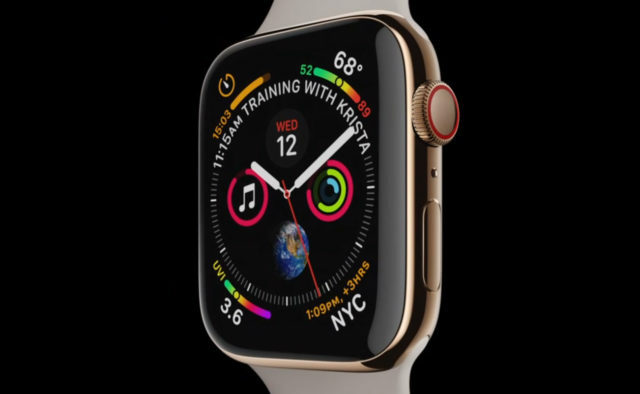 Apple has made a number of sweeping improvements to its Apple Watch, with more focus on health and fitness in Series 4. The company has introduced a new user interface, which makes room for eight complications, such as quick access to a specific family member or health and fitness stats, as well as new fire, water and vapour face watches. Among the health-related features, Apple has added a fall detection option, that will alert emergency services and family members within 60 seconds if you don’t respond. The Apple Watch is also able to perform an ECG test and detect a number of heart conditions, such as a low heart rate. Apple says that the device, which starts at £399, will have the same 18-hour battery life as the previous Apple Watch. Apple announced that the next version of iOS will be available to download from September 17. A software update is also being rolled out to HomePods, providing users with the ability to pair with a second HomePod for even louder sound. Plus, an update to Mac, featuring a dark mode and a redesigned Mac App Store, would be coming to compatible devices.